shesaid.so is a global network of women in the music industry. Established in September 2014, shesaid.so has a diverse international community, comprising of women from across all sectors of the industry - from tech to record labels, PR to management, and more. With headquarters in London and LA, the shesaid.so community has 15 active chapters around the world including NYC, Paris, Berlin, Mumbai and more. Our vision is to connect and empower marginalized communities in the music industry with a focus on women's rights. We curate and speak on panels aimed at promoting exceptional work by women in the music industry. We organize interactive events for our members and extended network, as well as showcases that shed a light on talented female artists and their representatives. We challenge the industry’s outdated systemic framework with our Alternative Power 100 Music List and work towards increasing the number of women who progress in their careers with our mentoring program she.grows. We work with brands to produce events and campaigns that further our mission of equality, diversity and inclusion. 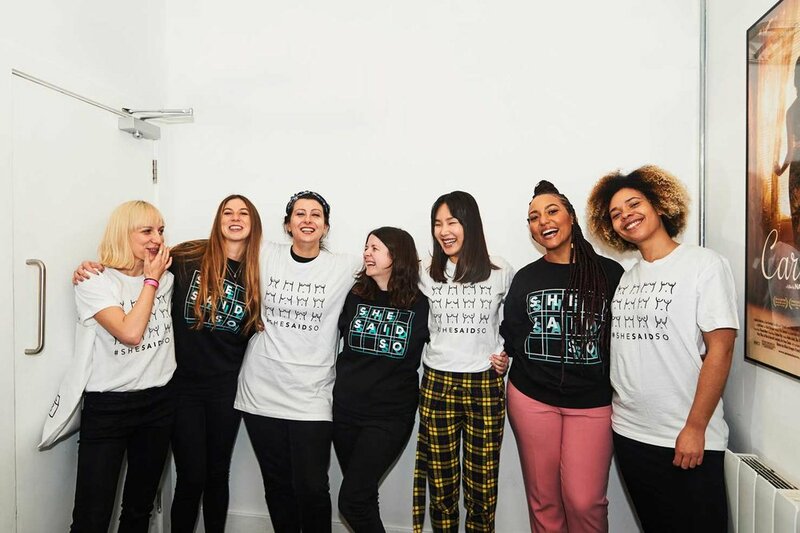 Since its beginnings in London, shesaid.so has become a place where members can openly ask for advice, share jobs and events, announce new projects and build community. There are currently over 3,000 international members in the global community and an additional 10,000 members across our 15 local chapters.